The BBC’s weekly The Boss series profiles a different business leader from around the world. This week we spoke to Stewart Butterfield, the founder of technology companies Flickr and Slack. It is not the sort of upbringing you’d associate with one of Silicon Valley’s heavyweights. But Stewart Butterfield spent the first five years of his life living on a commune in remote Canada after his father fled the US to avoid serving in the Vietnam War. The young Mr Butterfield and his parents lived in a log cabin in a forest in British Columbia, and for three years they had no running water or electricity. 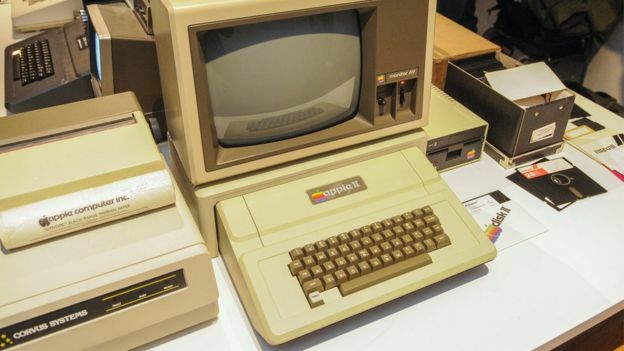 After the family relocated to Victoria, the capital of British Columbia, Mr Butterfield saw his first computer when he was seven, and taught himself to programme from that very young age. Fast-forward to today and 46-year-old Stewart Butterfield – who founded both photo-sharing website Flickr, and business messaging service Slack – has an estimated personal fortune of $650m (£500m). But perhaps in part due to his unusual upbringing he says he tries to live frugally. Mr Butterfield also puts much of his success down to luck. Mr Butterfield says that his seven-year-old self was fascinated by the first wave of personal computers. Mr Butterfield – who changed his first name to Stewart when he was 12 – learned to make basic computer games. However, he lost interest in computers while at high school, and ended up going on to study philosophy at the University of Victoria. From there he did a masters in the subject at Cambridge University in the UK. In 1997 he was about to try to become a professor of philosophy when the internet “really started to take off”. So Mr Stewart decided to give up academia and rekindle his love of computers. After working as a web designer for several years he launched an online game in 2002 with future Flickr co-founder Caterina Fake, Mr Butterfield’s then-wife. The game – called Game Neverending – failed to take off, and the pair were running out of cash. Frantically looking for a plan B they hit upon the idea of Flickr, going on to build the photo-sharing platform in just three months. “The first camera phones were also coming out, and more and more households were getting internet connectivity, and then stuff happened so fast,” says Mr Butterfield. 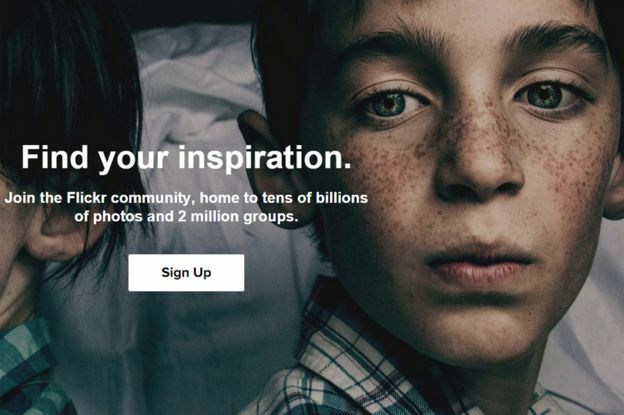 Launched in 2004, Flickr was the one of the first websites to allow people to upload, share, tag and comment on photos. Just a year later the founders sold the firm to internet giant Yahoo for $25m – although Mr Butterfield has since said this was the “wrong decision” as waiting longer could have meant a much bigger deal. Nevertheless he moved on to bigger things with Slack. It was 2009 and he and some partners had set up another online game, and again it failed. It did, however, spark a brainwave. It formed the basis for Slack, a service that today boasts eight million daily users, three million of whom pay for the more advanced features, and more than 70,000 corporate clients. 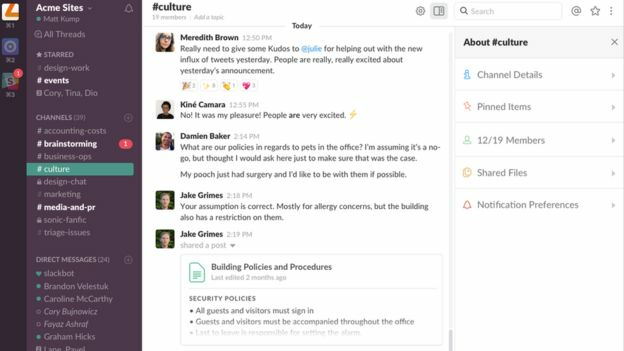 Slack enables employees to communicate and collaborate with each other in groups at work, and it has grown rapidly. IBM, Samsung, 21st Century Fox and Marks & Spencer are just a few big names to have signed up. Following a number of investment rounds Slack is now valued at $5.1bn. Chris Green, a technology analyst at consultancy Bright Bee, says it is rare for an entrepreneur to create something successful out of the ashes of a failed project, and “almost unheard of to do it twice”. “But if you look at Stewart’s career, it’s not just luck, he’s always been innovating in the background and looking for ways to bring order to chaos,” says Mr Green. Slack does have competitors, though. Microsoft now offers a rival service for free with its Office 365 package, and start-up Zoom boasts a more expansive offering for about the same price. 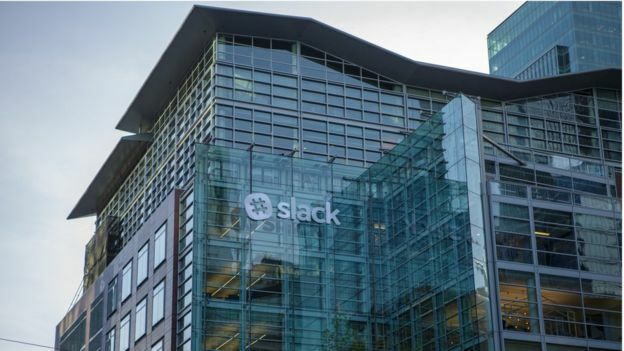 “There is immense competition from some big well-funded companies so Slack will need to keep evolving,” Mr Green says. Big tech firms have found themselves in the firing line for not paying enough tax – but Mr Butterfield says he would be happy for Slack to pay more taxes. Regarding the future, Mr Butterfield says that, unlike Flickr, he has no intention of leaving Slack. “So many things had to go right get to this position – amazing luck was involved – and I am not so smart that I can just make it happen again,” he says.